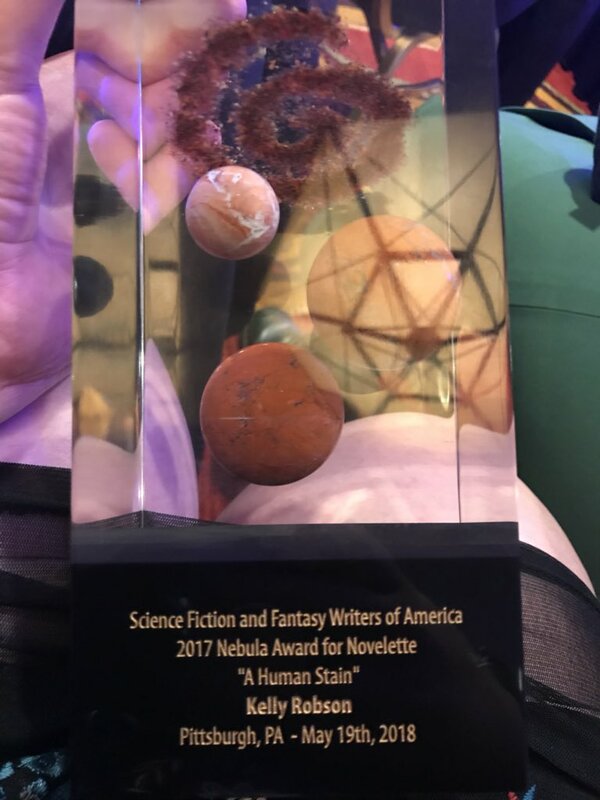 Science Fiction and Fantasy Writers of America (SFWA) has added Game Writing as a Nebula category and given Associate Members the right to vote for the Nebula Awards. These and other revisions to the rules were announced today on the SFWA Blog: “Nebula Awards Rules Changes: Associate Members Granted Voting Privileges, Game Writing Award Added”. DO YOU HAVE WHAT IT TAKES? Both Active and Associate Members in good standing may vote in the Nebulas. Thinking of joining? Here are the requirements to become an associate member. Works must be in the English language in science fiction, fantasy, horror and related genres. OTHER NEBULA RULES CHANGES: SFWA also has clarified existing rules and made some housekeeping changes. SFWA members may request a paper ballot no later than two weeks before applicable ballot closing. (Section 11; Section 12.6). The new rules are available here. This entry was posted in Like Show Business and tagged Nebula Awards, SFWA by Mike Glyer. Bookmark the permalink. Glad to hear that about the SFWA/Nebula Award. Adding associate members should increase diversity of the voting membership. The SFWA rule change to allow voting by associate members: way too late for me. At least I still have my SFWA Membership card, signed by one “A. Offutt”. Oh hey! I can vote now! I have more reading homework now!